Black Clover may have gotten off to a rocky start when it debuted, but the shonen has since made a believer out of millions. Now, the anime is stepping out with its most intense episode yet, and that doesn’t seem like they were ready for the what was to come.Today, Black Clover aired episode 63 after plenty of hype. The episode follows Asta as the loudmouthed hero takes on a brand-new form, and the dark transformation proved the wizard has only touched upon his true power. With the help of Witch Queen, we were able to see what happens when Asta is allowed to tap more fully into his anti-magic powers that was rare gift immediately grabs the vixen's attention thanks to its demonic origins, and Asta becomes the prime target for her to experiment with. After sparing a little blood, the Witch Queen is able to unleash more of Asta's anti-magic, and the anime didn't hold back with the carnage the boy made once he turned. While the transformation arrival was an awaited one by Black Clover went above and beyond to animate the moment. where the Episode 63 housed animators from all over the world, allowing dozens of art styles to blend together into something rather special. 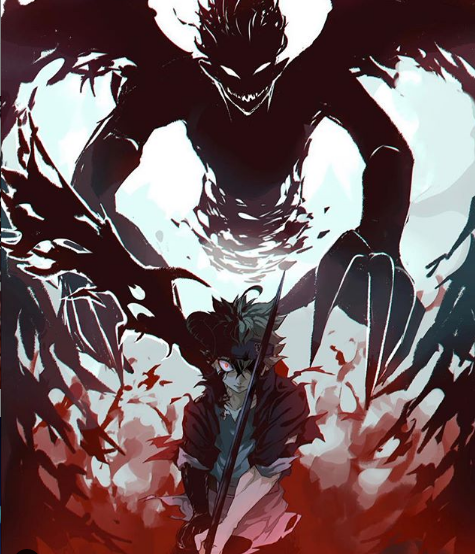 While some manga die hards have raised questions about the episode's aesthetic choices, many more have taken to social media to praise Black Clover's ambitious fight sequence.